I actually really like her bathing suit. It must have been beautiful in it's day. And, of course, you were awful cute as well. 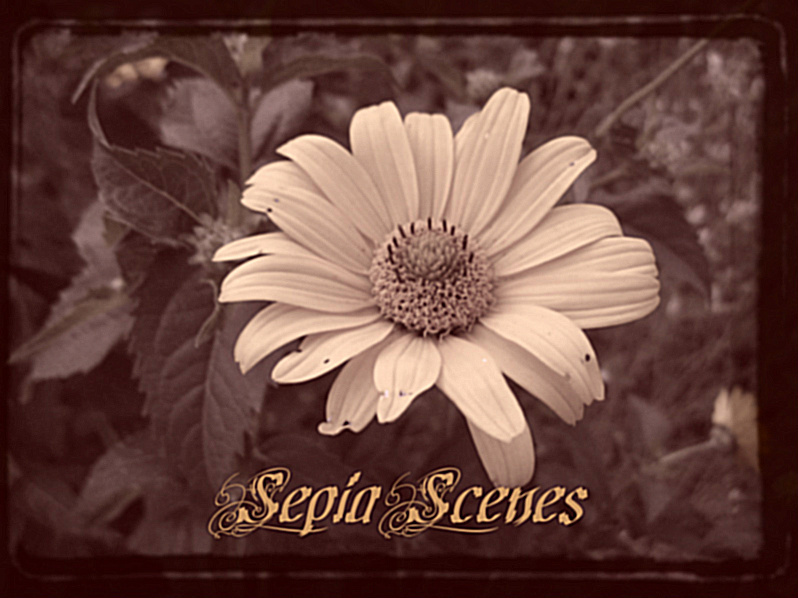 Fun to find your Sepia Scenes blog! Cool look back in history with your photos! In high school (1975) I LOVED developing my pictures in sepia .. some photos just lend themselves to sepia. 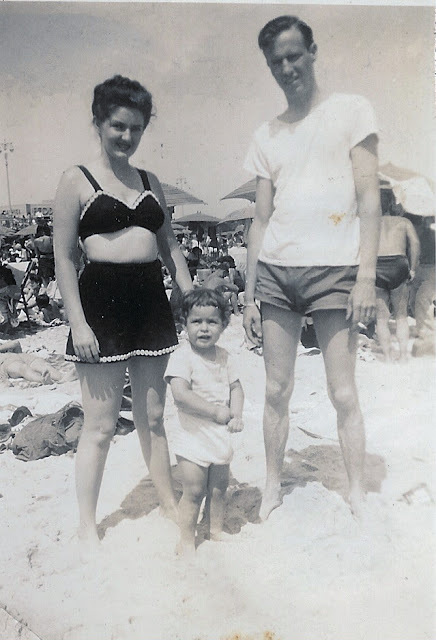 Love this beach portrait!